Different ant species are the nuisance-creating invaders that get inside any place. If you haven’t yet encountered the parade of ants marching in your kitchen or your garage, you are indeed a lucky person! However, when ants start to take over your home, don’t let your kids and pets suffer. Call the experts at Enviro Safe Pest Control for ant control treatments immediately. The ant species prefer warmer temperature and dwell in places with a suitable climate. Ants are social pests that live in different spaces forming colonies. You can find them near food sources or in your garden or the base of the exterior walls. Applying DIY products could help you control them but you can’t get rid of them completely. So, it is always recommended to approach our pest control company to achieve effective results. 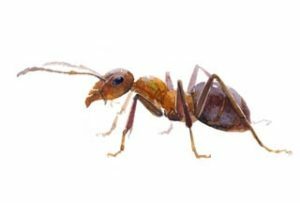 Enviro Safe Pest Control has been providing professional ant control services in Melbourne that involve monitoring and managing the infestation efficiently. Typically, ants gain access to your home through small cracks and holes in walls, doorways and window sills. With a thorough understanding of the lifecycle and pattern of ants, we get rid of them and keep them from coming back. Our pest control experts identify the type of ants that have invaded your property, discover their entry point and determine the most effective method to eliminate them. What Does Our Ant Control Process Include? The perimeter of your home or business is treated to target the nests of ants. Our unique formulations are applied to the interior of your property, including basements, attics, bathrooms and other areas where are evidences for the presence of ants. Perfect combination of baits and traps is used to meet your specific ant control needs. When it comes to ant control, we are experts in killing them and eradicating their presence from your property. So, the next time you encounter ants in your home or business, don’t hesitate to give us a call on 1300 997 272. Ants can carry any bacteria and would transfer them to food as well as open wounds.